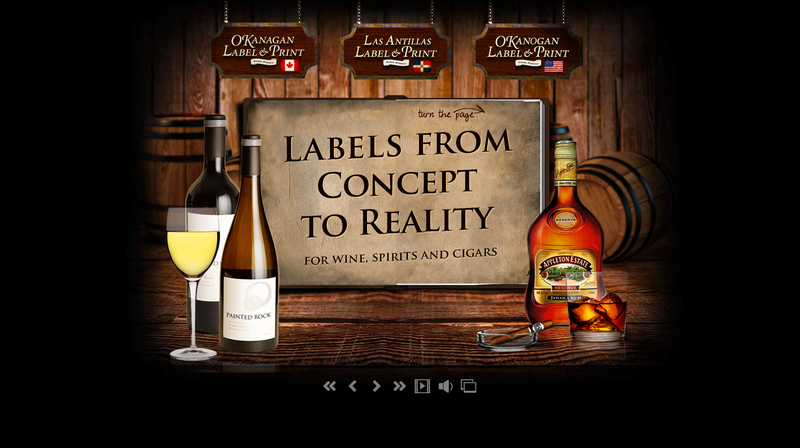 We have another website design live for a company that prints and designs labels for wineries, cigar brands, and other spirits. This is a company after our own heart that takes “Labels from Concept to Reality”. Thanks again for the work Okanagan Label & Print! 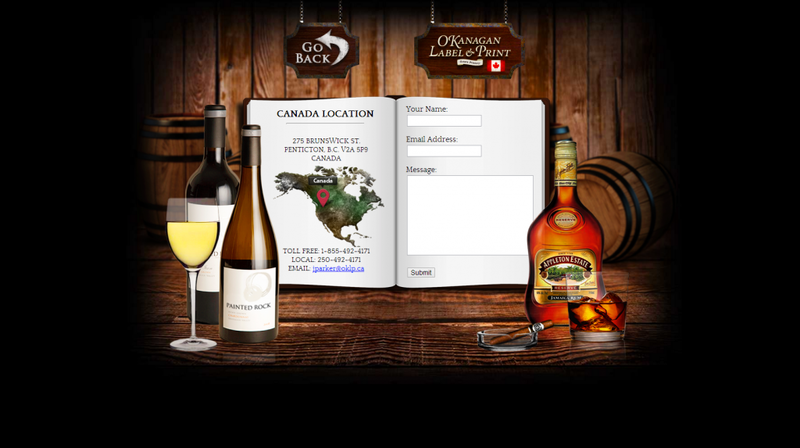 The wine and rum bottles in the website design are placed in front of the book with the wine barrels in the background to give the website design a more 3D look and feel. The script used for the book allows for the pages to be clicked in the corners for turn control and the navigation bar at the bottom of the site also operates the controls for the turn, sound, slideshow, and more. Given the increase in load time this can cause, images must be optimized. This means finding the highest quality image, while keeping the file size low. PNG file formats are used on layers where a transparent background is needed. Otherwise, optimized JPEG image formats are used. 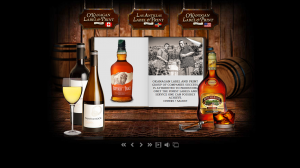 Our friends at Okanagan have locations in the US, Canada, and Las Antillas. You can check out their link below. Is your website tired and dated? Check out some of our recent work of Website Design in Baton Rouge and around the country. Are you looking for a wine website design? Even if you are looking for a website design in the wine / rum / cigar industry, then please contact us to Start A Website Design today!